Cherry Creek Schools! 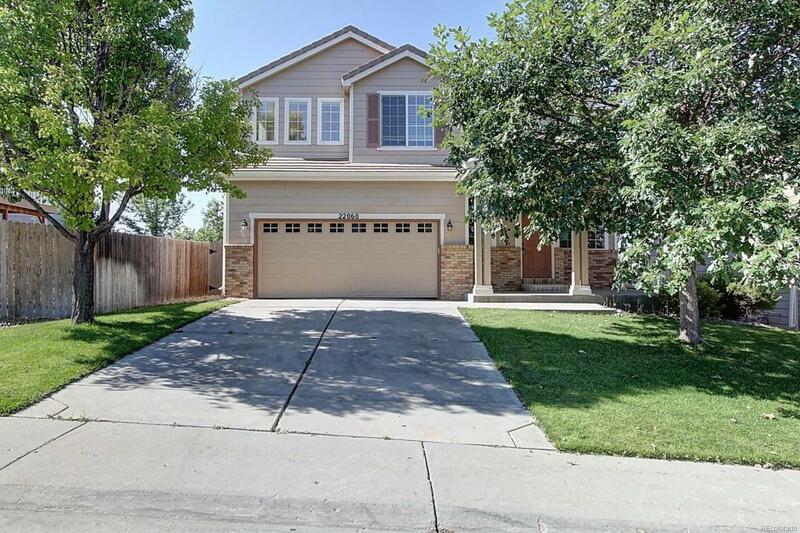 Fantastic 2-story, single-family home on a cul-de-sac. Oversized 6300 sq ft lot which back to Open Space! Your future home offers 3 bedrooms and a very spacious loft! Main level has formal Living Room with dual-sided gas fireplace, shared with Family Room, large eat-in Kitchen with white appliances and under-cabinet lighting. Family Room has built-in surround sound. Upper level has amazing loft with full-wall built-in library shelvesperfect for a home office, kids play room, or even a media room! Master Bedroom features a private 5-piece bathroom and walk-in closet with custom shelving. All new fixtures and hardware throughout. Back yard is a dream come true, with professional landscape, mature trees offering maximum shade and privacy, deck with adjoining patio, and soothing water feature! Must See! Great home! Great location! Call now to schedule your personal showing!